Everyone is raving about how we are so close to summer, but are you doing something about it? Between planning your upcoming vacation, getting your tan on, and getting your sunglasses ready, our Mytopface Experts fell in love with three summer MUST haves. And we really mean must! Our Mytopface Experts tried a natural oil-infused lotion from Charles Henry, and they were excited to mention that not only does it give your tan a natural look, but it’s coconut-vanilla scented. Other tanning oils and lotions do not smell so pleasant, but this CH1 does. Most people who use suntan or sunless tanning oils don’t know what Dihydroxyacetone, more known as DHA is. DHA is found in a lot of lotions and oils used as an additive to bronze the skin. Although many want that bronzed look, DHA can create an orange tone to the skin. CH1 is DHA-free and that’s key to a natural tan! This oil works on all skin types, so if you have any sensitivities, no worries. The oil is aloe-based, so the healing of the skin, as well as the hydrating is endless. Whether you are outdoor tanning, spray-tanning, UV tanning, looking to keep your tan up to par, or looking for a daily bronzing moisturizer, CH1 is right for you. 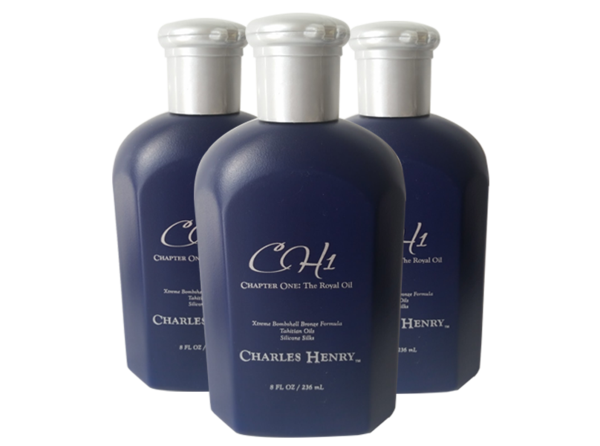 Summer is soon approaching, so become royal with CH1’s Royal Oil. It smells like vacation in a bottle! Along with keeping the outside of your body looking good, you should want the inside feeling good, too! You can do so by pairing the product above with the product below. Maintaining the outside of your body is just as important as maintaining the inside. 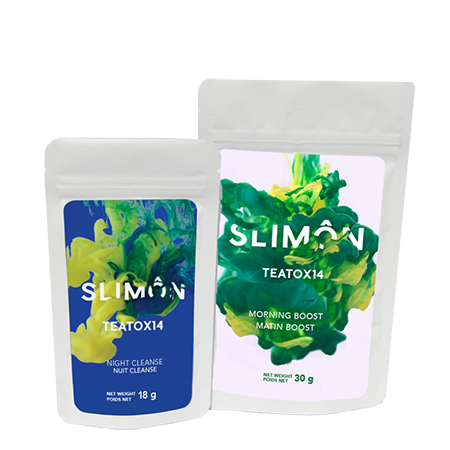 While you’re on the beach moisturizing, you can be sipping on some TeaTox from Slimon. Slimon strives to help people achieve their fitness goals while living a healthy lifestyle. Slimon offers a morning boost, a night cleanser, and much more. The Morning Boost and Night Cleanser helps with burning fat and calories, food digestion, boosting your metabolism, reducing your appetite, maintaining a healthy sleep schedule, and flushing all toxins from out of your body. An upset stomach is common when drinking drinks that rid of any toxins, but the morning boost and night cleanser is made up of 100% natural ingredients. That means no upset stomach! These teas even improve your skin! Our one Mytopface Expert said the morning boost tea got rid of all her morning bloat, which made her feel like a feather! Our other Expert tried the night cleanser and said she woke up feeling so refreshed as she got a really good sleep! 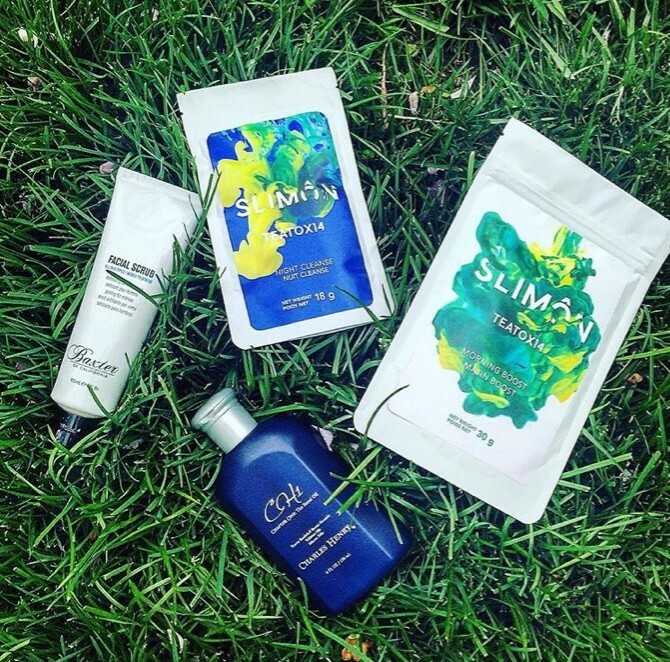 If you’re in need of fresh skin, a good nights rest, and a confidence boost, Slimon Teatox is for you! In just the blink of an eye summer will be shining right in your eyes, so make sure to grab a friend and share a bag of Teatox and a bottle of CH1.